Ken Roht choreographed the dance in Greta's nightclub for Bent, the play I just closed at the Mark Taper Forum. In addition to playing a prisoner and understudying Horst, I was one of the backup dancers for Greta, played in our production by Jake Shears of the disco rock band Scissor Sisters. I don't necessarily consider myself a dancer, so that sentence is even stranger than it might first appear. As I got to know Ken, I slowly found out that he is much more than a choreographer. He is something of an LA theater legend: writing, directing and producing a series of original musicals collectively known as the 99¢ shows. 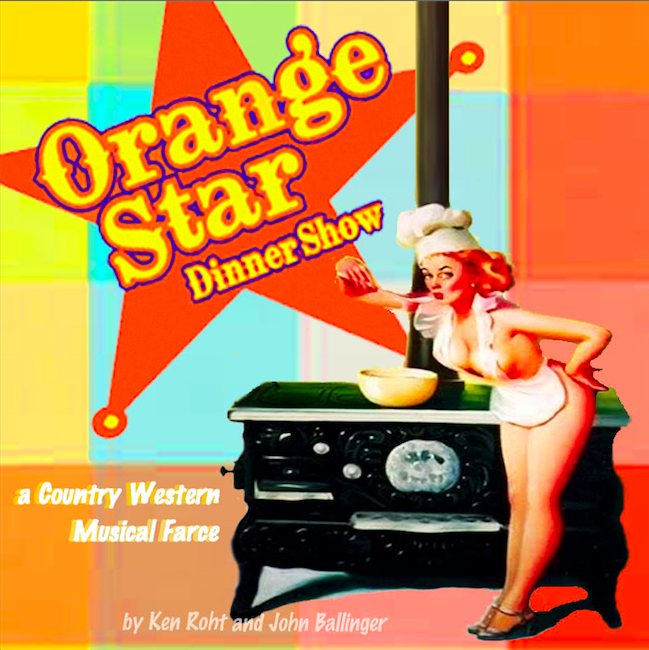 The Orange Star Dinner Show was one of these 99¢ shows, a country western musical farce set in an absurd and hilarious Wyoming dinner theater. 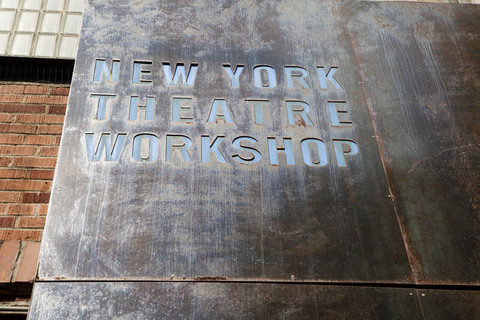 Ken is directing a workshop production of Orange Star at 3LD in New York (where I did DR.C with Theater Mitu). And tonight I'm joining his LA theater company Orphean Circus to do a benefit performance of Orange Star to help raise money for the NYC workshop. Come to the Hollywood Lutheran Church tonight at 7:30 to help support this sublimely ridiculous and hilarious work of musical theater. Tickets are only $20, and you'll hear me sing beautifully arranged tenor harmony. 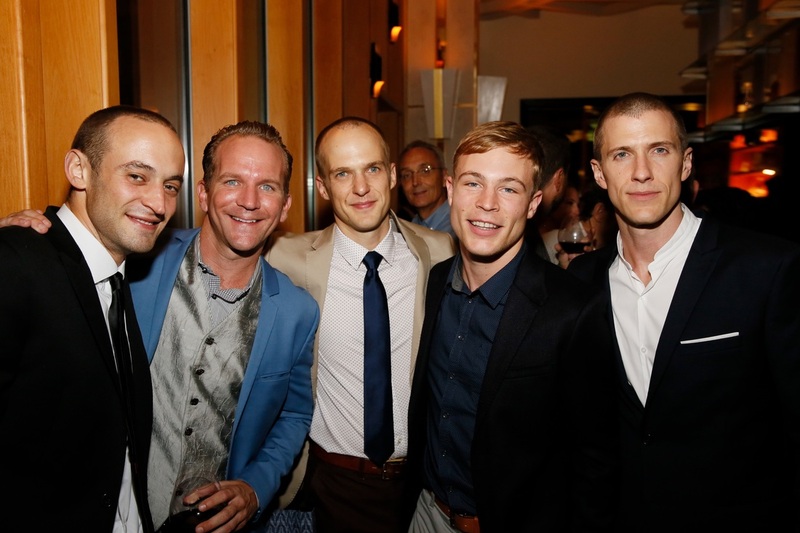 With cast members of Bent at the opening night party on Sunday: Charlie Hofheimer, Brionne Davis, myself, Jonathan B. Wright and Patrick Heusinger. 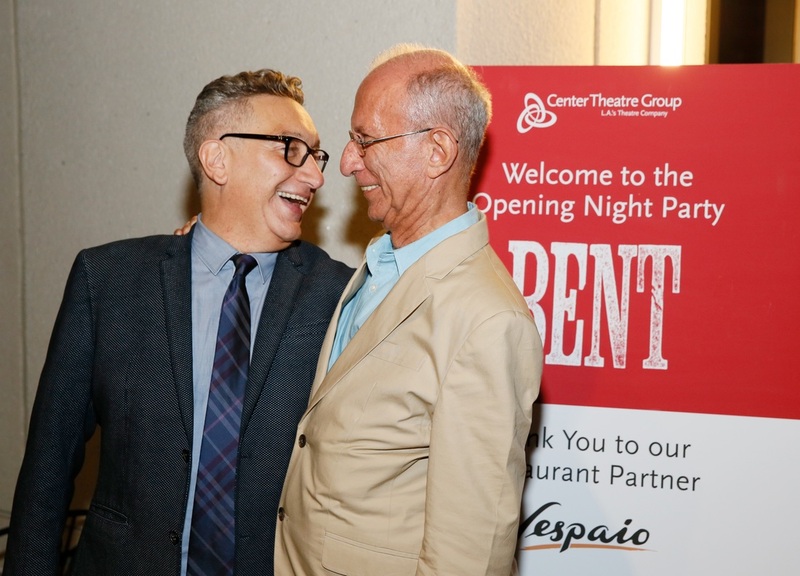 Bent opened Sunday night at the Mark Taper Forum here in Los Angeles. I'm proud to be a part of this production, and to perform this play at this particular moment. When Bent originally premiered in London in 1979 (and then Broadway in 1980), Martin Sherman brought to light an almost forgotten chapter of history: the persecution of homosexuals by the Nazis. The gay rights movement subsequently reclaimed the pink triangle in the 1980s as a symbol of pride and identity, subverting its original intent as a label of hate. Just thirty-five years later we celebrated as a cast when the Supreme Court reached its verdict in Obergefell v. Hodges (reaffirming the right to marriage), by drinking champagne at rehearsal. Martin joined us for the last week of preview performances, and stayed for opening night. I'm so glad I got to meet him, and celebrate his remarkable play. But now it's back to work for me: I start understudy rehearsals this week for the role of Horst. Director Moisés Kaufman with playwright Martin Sherman. I couldn't have asked for a better way to start out in Los Angeles than to work on a play at the Mark Taper Forum. Lesley and I drove a yellow Penske truck from New York to Los Angeles at the beginning of June, and the next week I started rehearsals for a production of Bent directed by Moisés Kaufman. 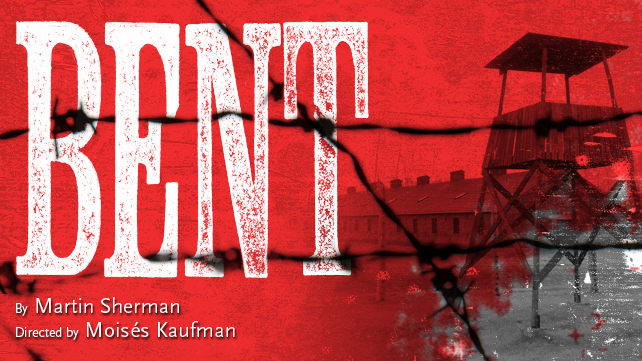 Bent is a Holocaust play about the persecution of homosexuals by Nazi Germany. The production is the first major American revival since its original Broadway production in 1980. I have a few small roles, as a concentration camp prisoner and as a backup dancer for Jake Shears of the rock band Scissor Sisters, who plays the drag performer Greta. I'm also the understudy for one of the central characters, Horst. If you're in LA, you can use the discount code SHERMAN to get $35 tickets for performances through July 31. 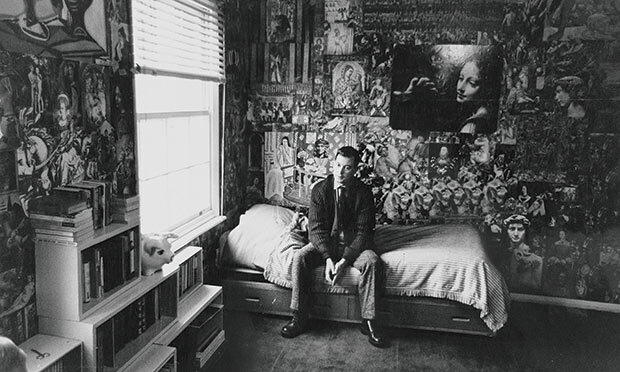 Joe Orton in front of a collage created by Kenneth Halliwell. Yesterday I did a reading of a new play loosely based on the lives of playwright Joe Orton and his partner Kenneth Halliwell. The New York Theater Workshop produced the reading of The God of Wine, written by Clarence Coo, conceived and directed by Kareem Fahmy. In his prolific and provocative (if short) career, Joe Orton turned the London theater world upside down with his violent, darkly comedic plays (Entertaining Mr. Sloane, Loot, and What the Butler Saw). Orton is perhaps as famous for his death, killed with a hammer by his lover Kenneth Halliwell, who subsequently committed suicide by swallowing a bottle of pills. The complicated artistic and romantic entanglements of these two men provided the source material for The God of Wine. I played Frank, the a character based on Kenneth. Last Monday I had the chance to take part in a reading of an obscure Elizabethan domestic tragedy called Arden of Faversham. 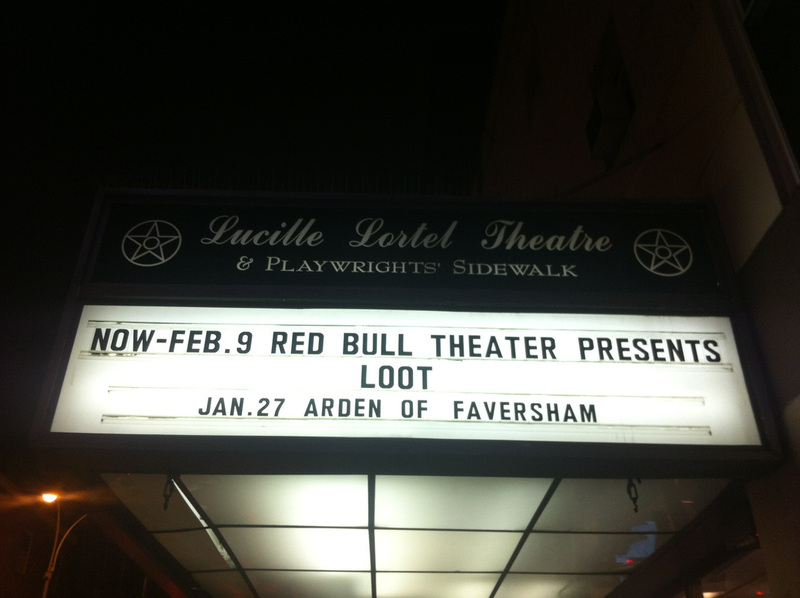 The play was part of the Revelation Reading series for Red Bull Theater, at the Lucille Lortel in New York City. Written in 1592 and published anonymously, it depicts the murder of Thomas Arden by his wife Alice and her lover. After numerous failed attempts, they finally get the job done with the help of a few villians: Black Will and Shakebag. I played a painter named Clarke, who promised to make a poisoned crucifix that would kill anyone who looked at it. How do I explain that it doesn't kill me while I'm making it? Well, I wear glasses and put rhubarb up my nose (seriously, that's said in iambic pentameter). Part tragedy, part comedy, part melodrama - it was certainly fun. The Public Theater asked me to read Misha in Place, a new play by Natal’ya Vorozhbit as part of their festival of new plays, New Works Now. Place is part of The Boardwalk Trilogy: The Brighton Beach Brooklyn Plays. In June 2012, three Russian speaking playwrights lived in residency in the Brooklyn neighborhood of Brighton Beach, hosted by the Public Theater. They wrote plays about emigrants who fled the former Soviet Union and formed their own community on the Brooklyn shorefront. The resulting plays are The Boadwalk Trilogy: Black Body by Mikhail Durnenkov, Emigrants by Pavel Pryazhko, and Place by Natal’ya Vorozhbit. After three short days of rehearsal, rewrites from Natal'ya and her translator Sasha Dugdale, we performed Place at the end of a marathon evening that included all three plays. I played Misha, a 27 year-old who lives his mother, a drug dealer as a teenager who is now studying to be a dentist. Working on Misha was challenging and ultimately quite a bit of fun, not the kind of character I usually play (think Jesse Pinkman from Breaking Bad, but with a Brooklyn accent). Four time Tony nominee Tovah Feldshuh played Zhanna, my mother. The Friday before we started rehearsals, I biked out to Brighton Beach to do a little research. 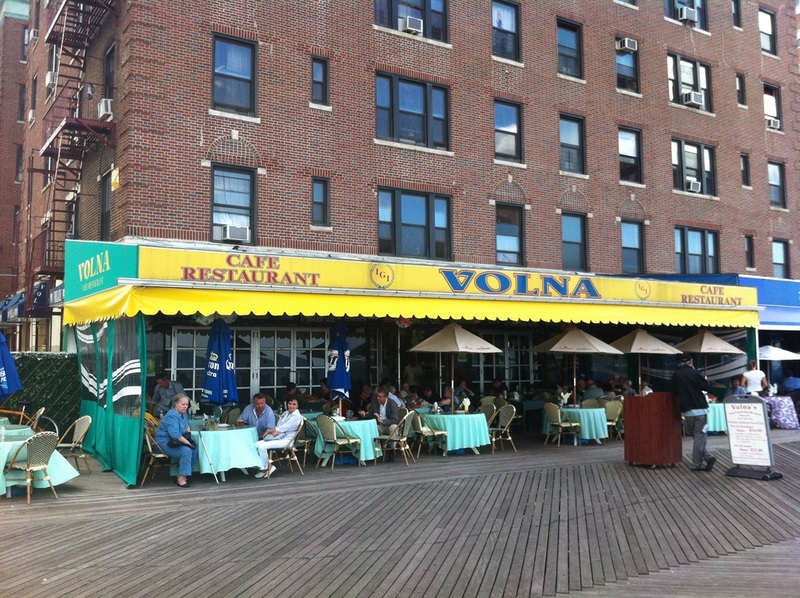 Several of my scenes took place at Volna, a restaurant on the boardwalk with a view of the ocean. I had a Baltika draft beer and dinner, then biked back to Washington Heights. My wife Lesley and I both did a reading of Auntie Mame for NYTW this week. Acclaimed director Ivo van Hove (artistic director of the theater Toneelgroep in Amsterdam) and his frequent collaborator, the actress Elizabeth Marvel, are looking for a new project to work on together. van Hove is known for his desconstructive and abstract productions of classic plays, including The Little Foxes, Hedda Gabbler, and A Streetcar Named Desire at NYTW. Auntie Mame originally starred Rosalind Russell, and was adapted into both a film and a wildly popular musical, Mame. Marvel took the title role in the NYTW reading, with Billy Porter as Vera Charles, Jason Butler Harner as Beauregard/O'Bannion and Richard Kind as Mr. Babcock and Mother Burnside. I had a nice scene as a blue collar guy who hangs up wallpaper, and later played a groom (New York and Southern accents all in the same play). Not a bad afternoon. 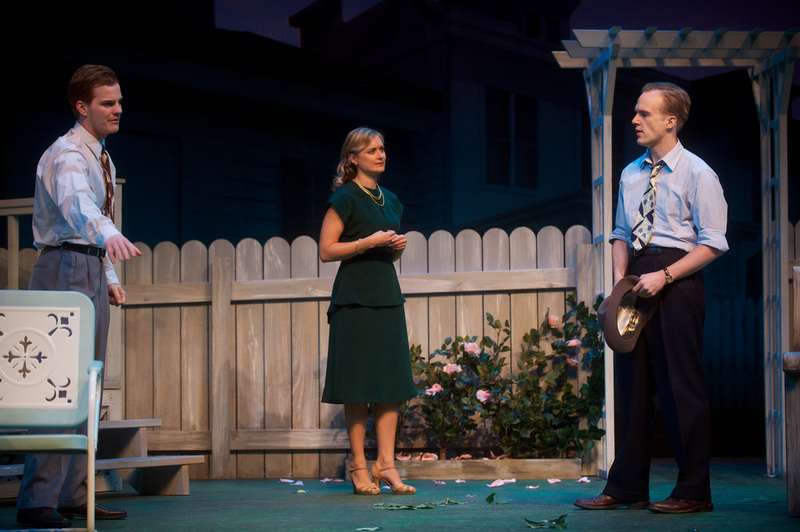 The Barrington Stage production of All My Sons (in which I played the role of George Deever) recently won the 2012 Broadway World Boston award for Best Play - Large Theater. I'm just as happy for my friend Nicholas Carriere, who won the award of Best Actor in Play - Large Theater for his performance of the title role in Coriolanus this summer at Commonwealth Shakespeare. Lesley and I had a chance to see his closing night performance in Boston. For more information on the awards, follow this link to Broadway World. The Foreigner at St. Louis Rep.
Rev. David Marshall Lee in The Foreigner, at St. Louis Rep. ©Jerry Naunheim, Jr. Villain in a comedy. Not often do I get to use those words separately, let alone together. What great fun it is then, to have them both words describe my current role as the Rev. David Marshall Lee in The Foreigner, open and running at the Repertory Theatre of St. Louis. Directed by Ed Stern, the play continues through December 23.